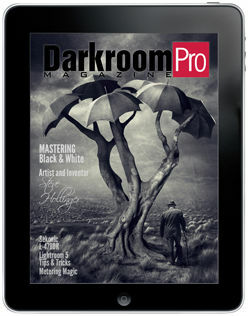 DarkroomPro Magazine is your free photography publication, designed from the ground up for the tablet platform. Including video, 360 degree rotating graphics, audio interviews, and lots of informative articles, we hope you'll find the content both engaging and as easy to navigate as a paper based magazine. Also be sure to check out our PDF versions for those who don't own an iPad! Like us on Facebook & follow us on Twitter to get all the latest photo news! We love getting feedback from our readers! 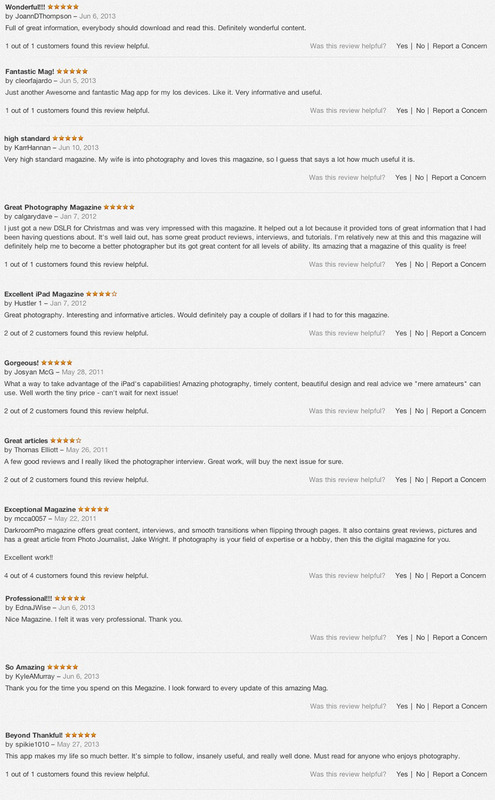 The following is a selection of reviews from both the US and Canadian App Store for our various issues. If you like the magazine, please let us know by writing a review; we'd sincerely appreciate it!